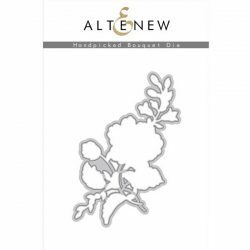 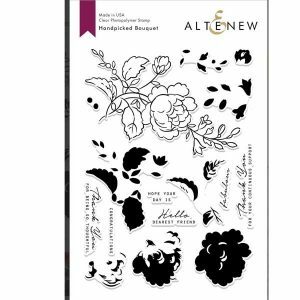 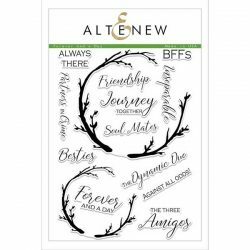 Handpicked Bouquet stamp set by Altenew. 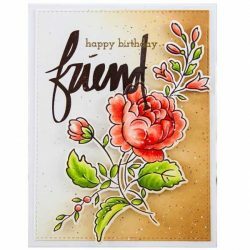 This stamp set features a sweet rose bouquet that has multiple coloring layers. 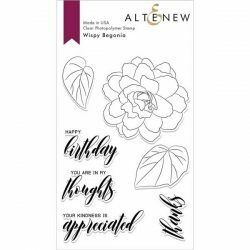 The large flower in the center has three coloring layers, and the cluster of leaves, as well as the smaller flowers, have two layers each. With just a few simple steps, you can create a beautiful floral embellishment for all your paper crafting projects! 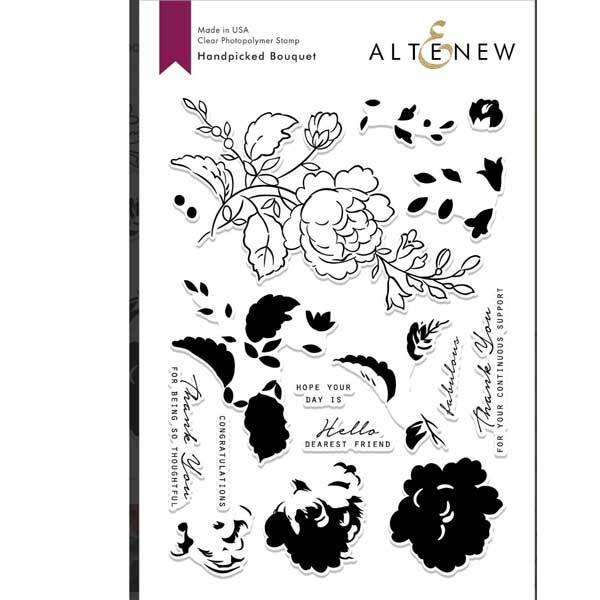 This is a 6″ x 8″ clear stamp set containing 16 stamps made in the USA from high-quality photopolymer. 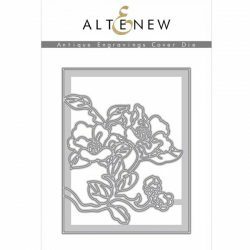 The matching dies are shown below.